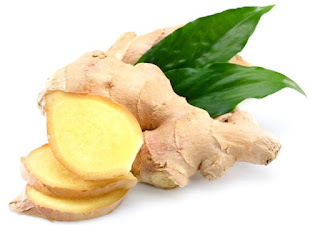 Ginger has long been used in folk medicine to treat everything from colds to constipation. Ginger can be used fresh, in powdered form (ginger spice), or candied. Although the flavor between fresh and ground ginger is significantly different, they can be substituted for one another in many recipes. In general, you can replace 1/8 teaspoon of ground ginger with 1 tablespoon of fresh grated ginger, and vice versa. Consuming ginger and ginger products, in addition to taking any anti-nausea medications as prescribed, may provide some comfort for a queasy stomach during cancer treatment. Turmeric is an herb in the ginger family; it's one of the ingredients that make many curries yellow and gives it its distinctive flavor. 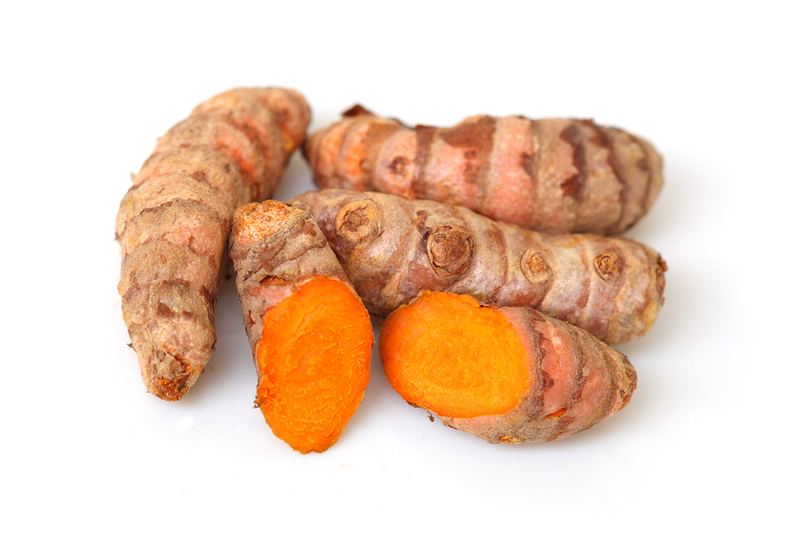 Curcumin appears to be the active compound in turmeric. This compound has demonstrated antioxidant and anti-inflammatory properties, potentially protecting against cancer development. Turmeric extract supplements are currently being studied to see if they have a role in preventing and treating some cancers, including colon, prostate, breast, and skin cancers. Although results appear promising, they have largely been observed in laboratory and animal studies, so it’s unclear whether these results will ultimately translate to humans. Garlic belongs to the Allium class of bulb-shaped plants, which also includes chives, leeks, onions, shallots, and scallions. Garlic has a high sulfur content and is also a good source of arginine, oligosaccharides, flavonoids, and selenium, all of which may be beneficial to health. 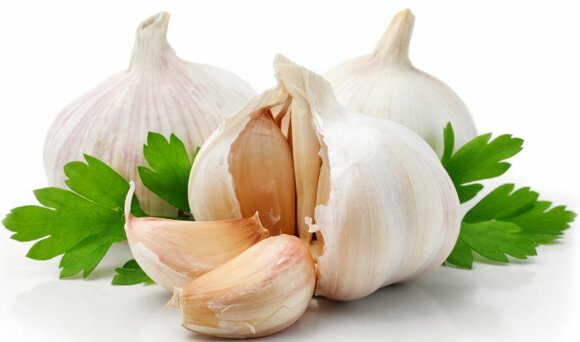 Garlic’s active compound, called allicin, gives it its characteristic odor and is produced when garlic bulbs are chopped, crushed, or otherwise damaged. Several studies suggest that increased garlic intake reduces the risk of cancers of the stomach, colon, esophagus, pancreas, and breast. It appears that garlic may protect against cancer through numerous mechanisms, including by inhibiting bacterial infections and the formation of cancer-causing substances, promoting DNA repair, and inducing cell death. Garlic supports detoxification and may also support the immune system and help reduce blood pressure. 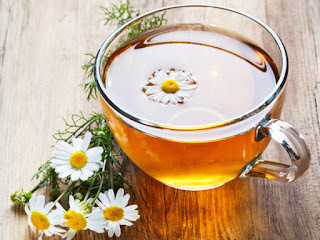 Chamomile is thought to have medicinal benefits and has been used throughout history to treat a variety of conditions. Chamomile may help with sleep issues; if sleep is a problem for you, try drinking a strong chamomile tea shortly before bedtime. Chamomile mouthwash has also been studied for preventing and treating mouth sores from chemotherapy and radiation therapy. Although the results are mixed, there is no harm in giving it a try, provided your oncologist is not opposed. If given the green light, simply make the tea, let it cool, and rinse and gargle as often as desired. Chamomile tea may be another way to manage digestive problems, including stomach cramps. Chamomile appears to help relax muscle contractions, particularly the smooth muscles of the intestines. Rosemary is a hearty, woody Mediterranean herb that has needlelike leaves and is a good source of antioxidants. Because of its origin, rosemary is commonly used in Mediterranean cooking and you’ll often see it included as a primary ingredient in Italian seasonings. You can use it to add flavor to soups, tomato-based sauces, bread, and high-protein foods like poultry, beef, and lamb. 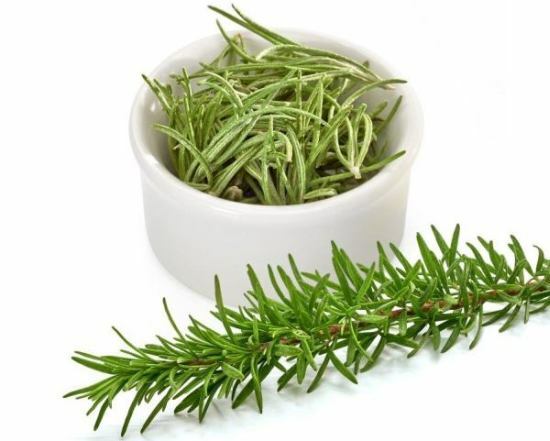 Rosemary may help with detoxification; taste changes; indigestion, flatulence, and other digestive problems; and loss of appetite. Try drinking up to 3 cups of rosemary leaf tea daily for help with these problems. 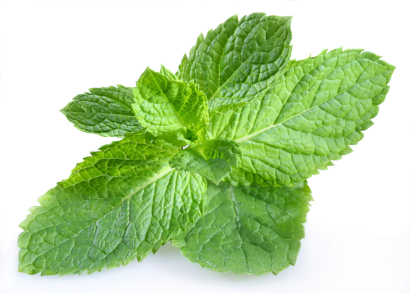 Peppermint is a natural hybrid cross between water mint and spearmint. It has been used for thousands of years as a digestive aid to relieve gas, indigestion, cramps, and diarrhea. It may also help with symptoms of irritable bowel syndrome and food poisoning. Peppermint appears to calm the muscles of the stomach and improve the flow of bile, enabling food to pass through the stomach more quickly. If your cancer or treatment is causing an upset stomach, try drinking a cup of peppermint tea. Many commercial varieties are on the market, or you can make your own by boiling dried peppermint leaves in water or adding fresh leaves to boiled water and letting them steep for a few minutes until the tea reaches the desired strength. Peppermint can also soothe a sore throat. For this reason, it is also sometimes used to relieve the painful mouth sores that can occur from chemotherapy and radiation, or is a key ingredient in treatments for this condition. Chile peppers contain capsaicin, a compound that can relieve pain. When capsaicin is applied topically to the skin, it causes the release of a chemical called substance P. Upon continued use, the amount of substance P eventually produced in that area decreases, reducing pain in the area. But this doesn’t mean you should go rubbing chile peppers where you have pain. Chile peppers need to be handled very carefully, because they can cause burns if they come in contact with the skin. Therefore, if you have pain and want to harness the power of chile peppers, ask your oncologist or physician about prescribing a capsaicin cream. It has shown pretty good results with regard to treating neuropathic pain (sharp, shocking pain that follows the path of a nerve) after surgery for cancer. Another benefit of chile peppers is that they may help with indigestion. Seems counterintuitive, right? But some studies have shown that ingesting small amounts of cayenne may reduce indigestion.